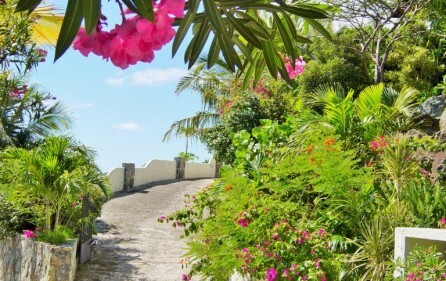 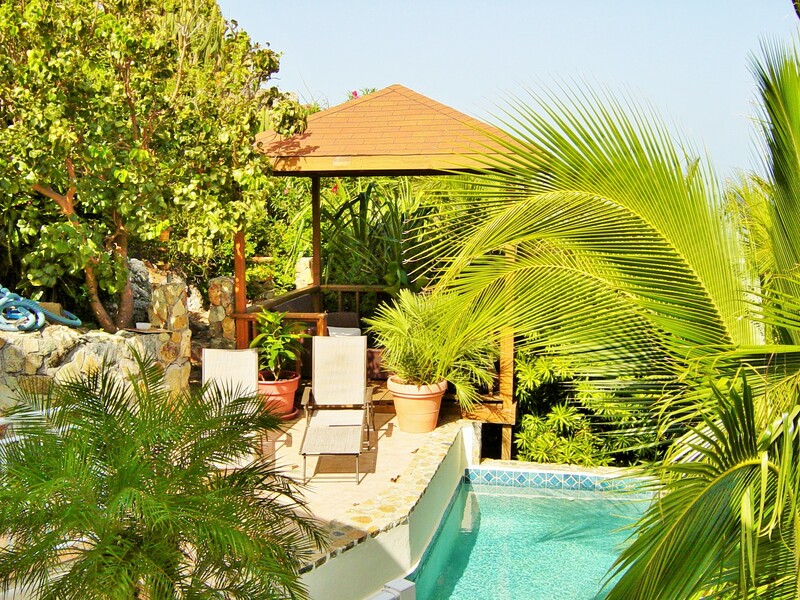 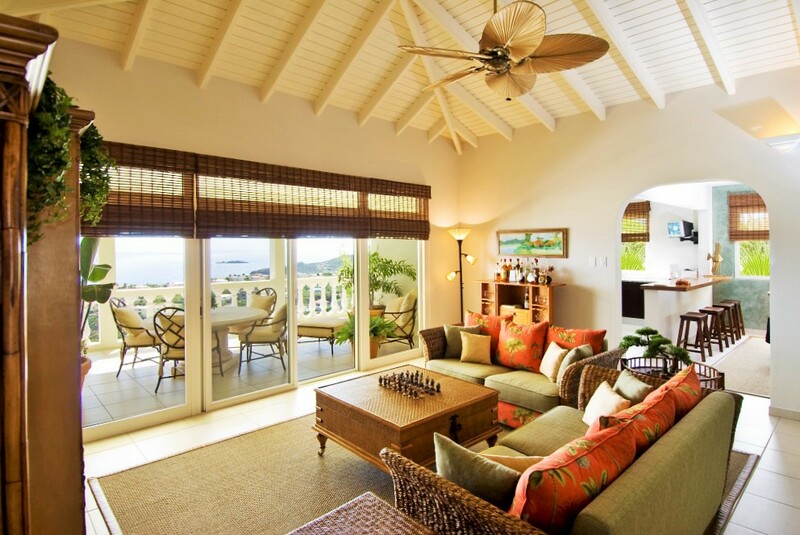 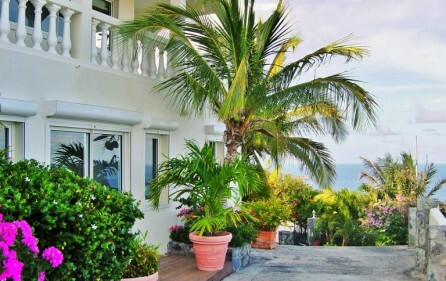 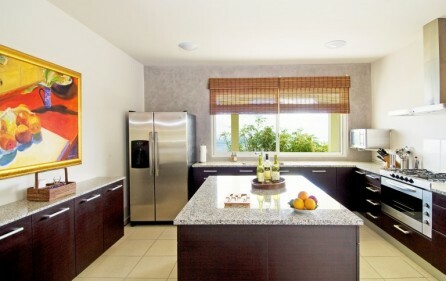 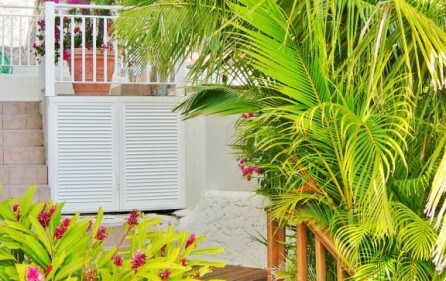 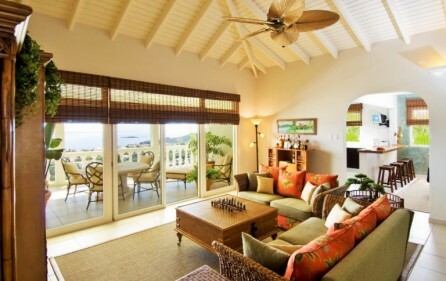 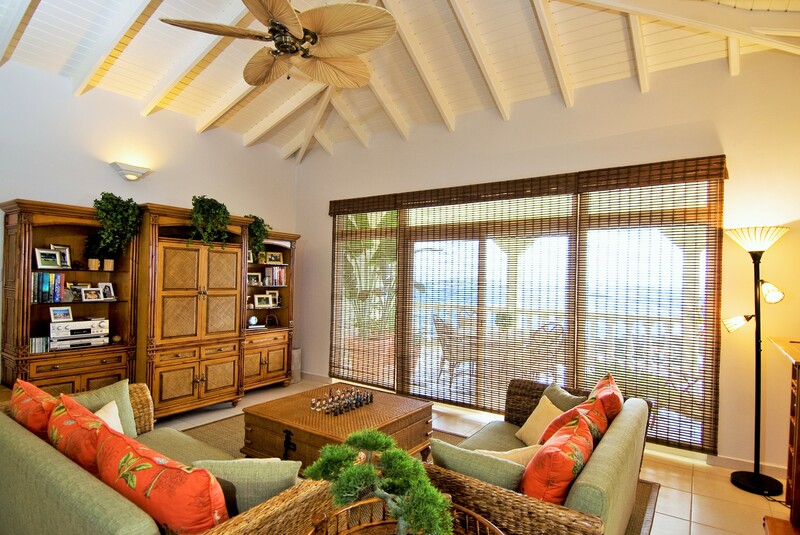 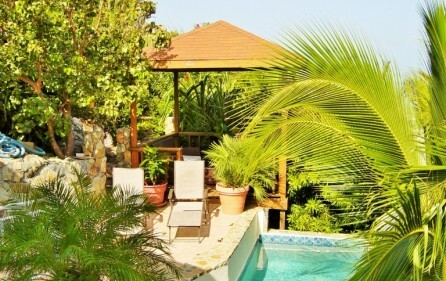 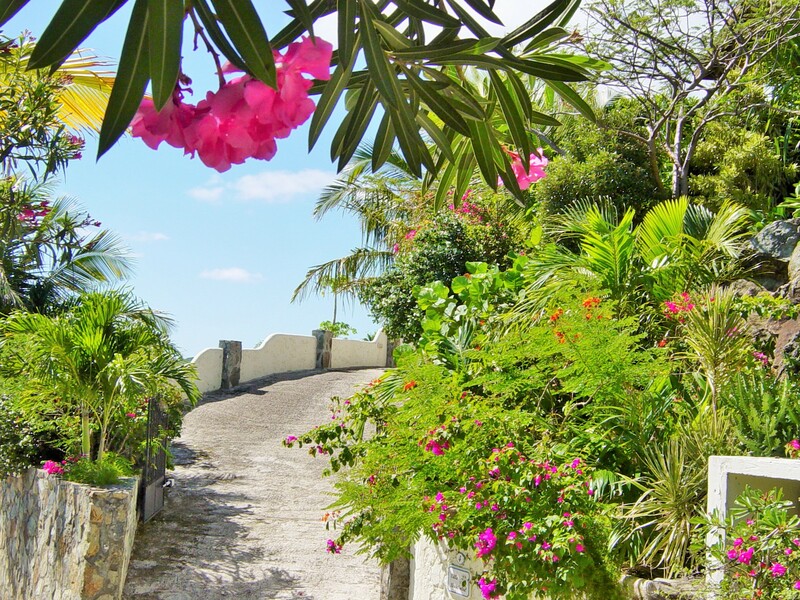 Villa Beau Soleil is sitting atop Oyster Pond Estates on the Dutch side of Sint Maarten in near seclusion. 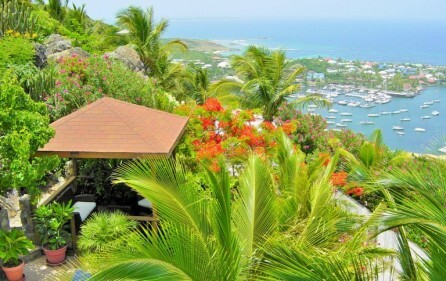 There are spectacular views of St. Barth’s, Saba, St. Eustatius, and even Nevis on a clear sunny day. 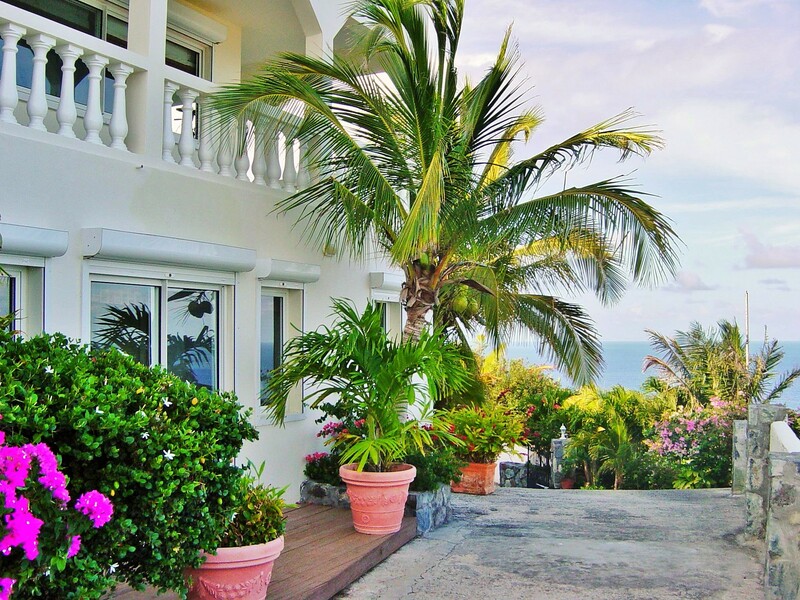 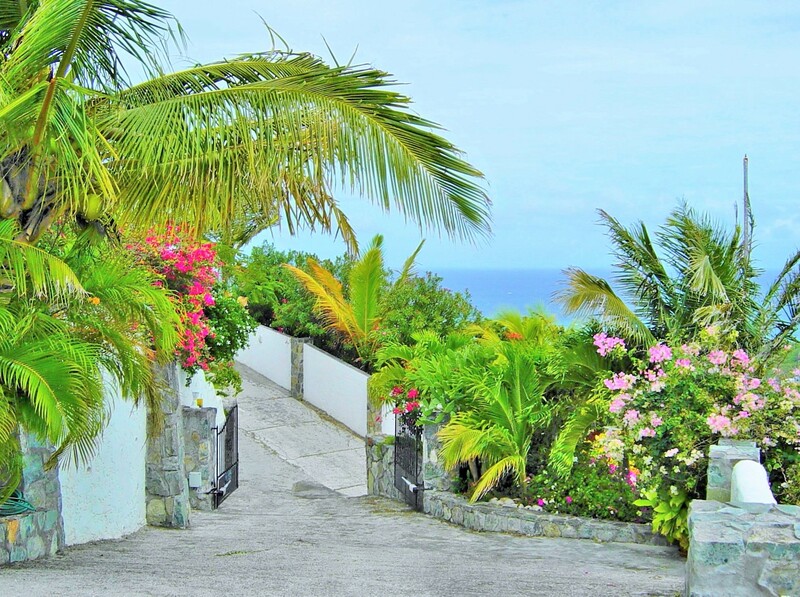 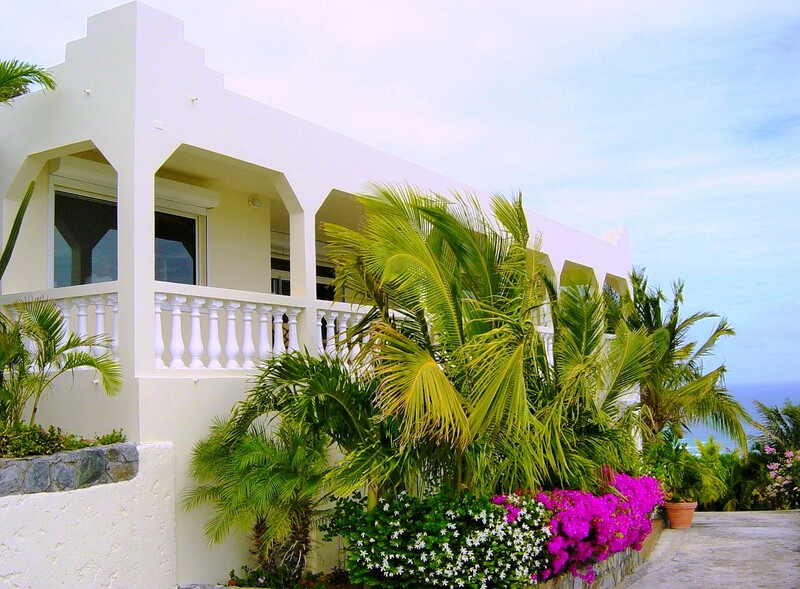 Villa Beau Soleil rests in ‘The Vistas’, offering magnificent views of the Atlantic Ocean, hillsides, and custom landscaping covering the property. 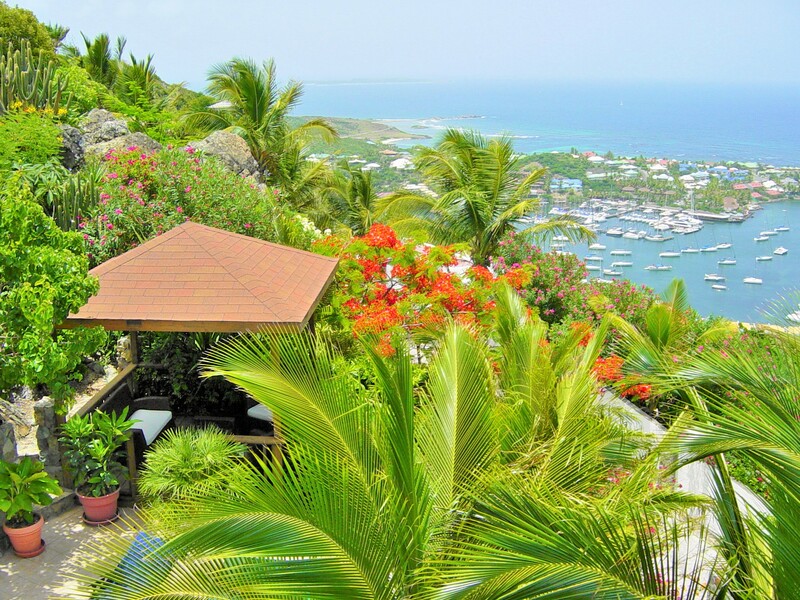 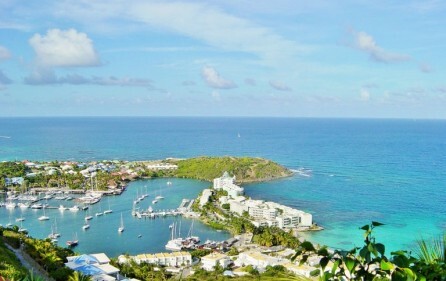 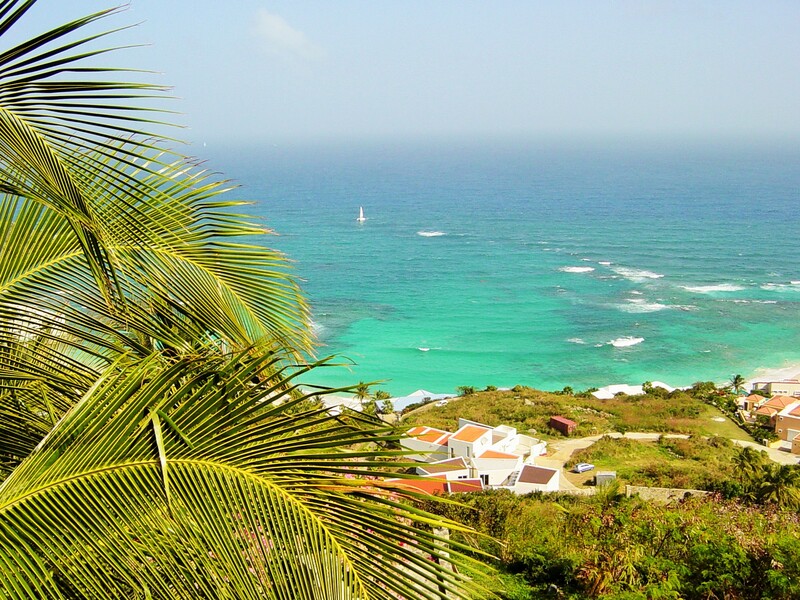 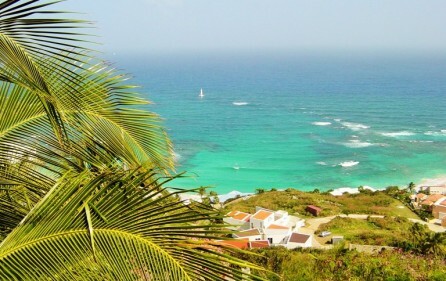 On the terrace, you can look down on the beautiful southeast hills of Sint Maarten. 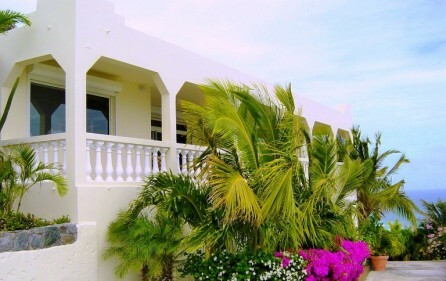 You can sit at the pool-side gazebo or upper-level deck and listen to the ocean, enjoy the constant breeze, and feel secure in a multi-gated area. 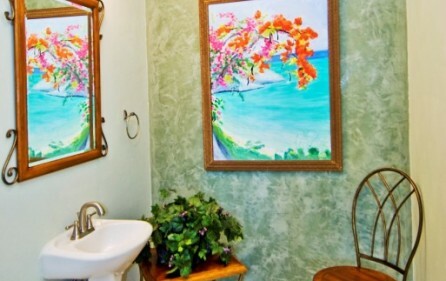 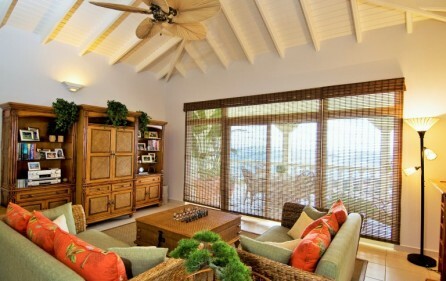 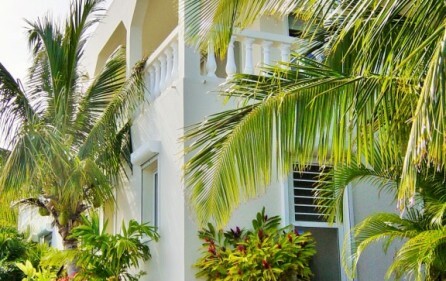 The villa has been completely re-decorated and furnished since 2012. On the upper level, you will find a major kitchen, dining, living room and bedroom areas offering comfort and living convenience. 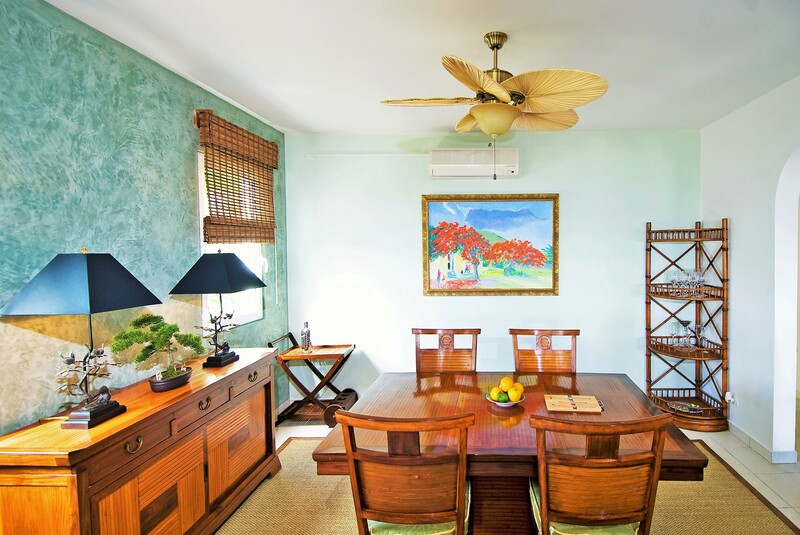 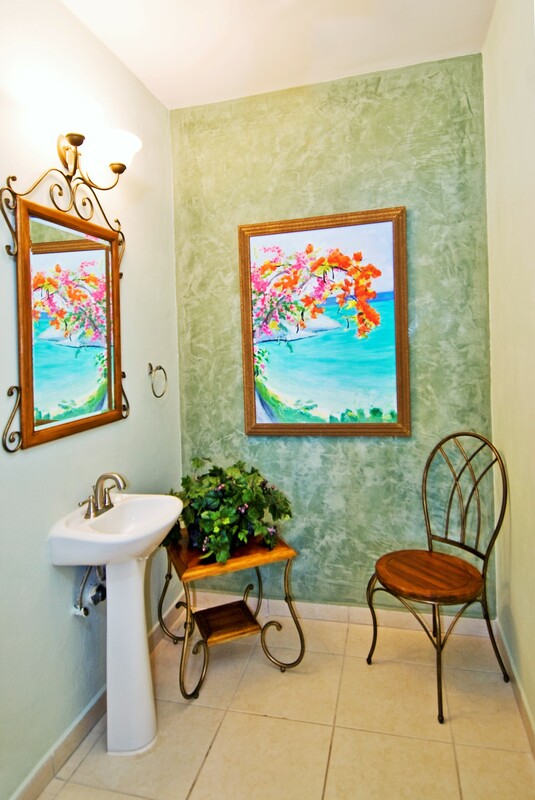 On the lower level, you will find another completely separate living and relaxing area. 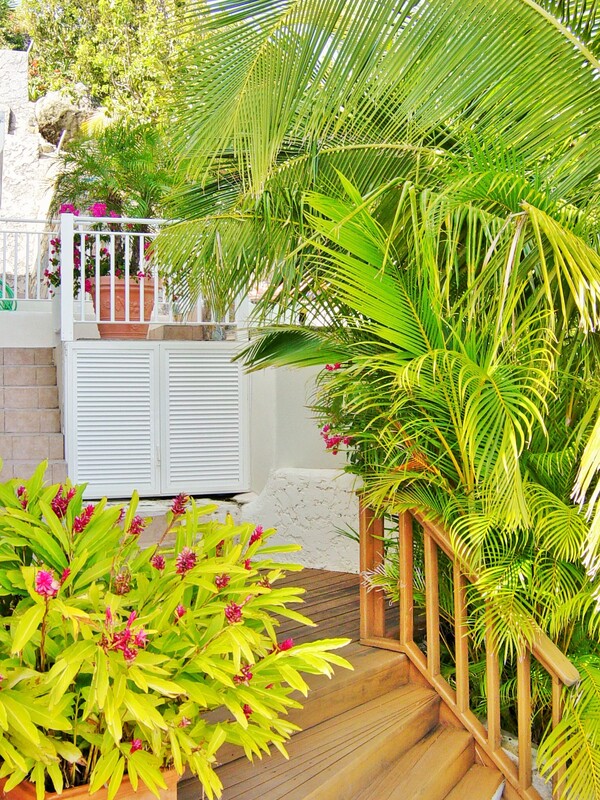 Features outside includes a gazebo, a small-scale pool, and flower beds. 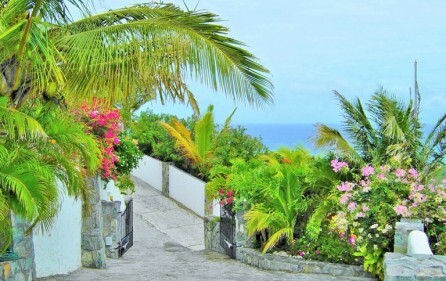 This amazing garden will let you relax, enjoy, and hope you can stay forever. 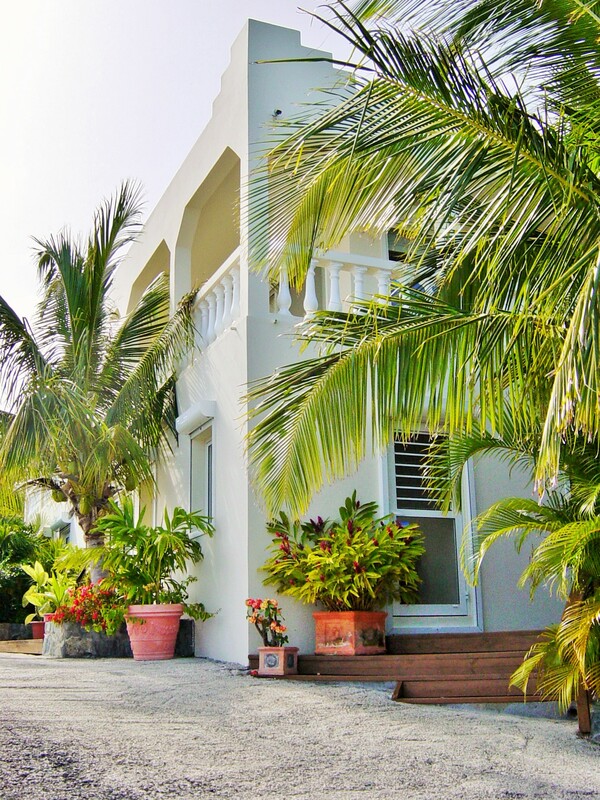 Utilities are included, such as internet connections, satellite TV, and outdoor video monitoring cameras which very convenient. 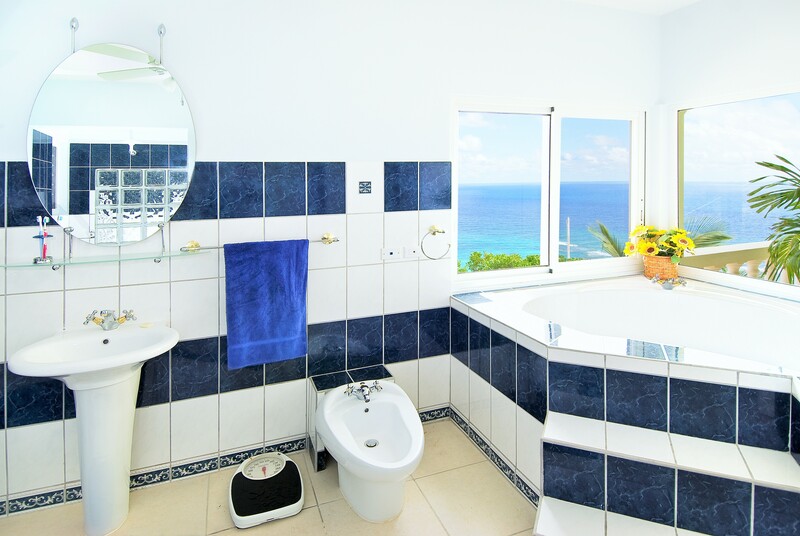 Furthmore, a major cistern captures rain; hurricane shutters on every window and door to provide protection and security all year-round. 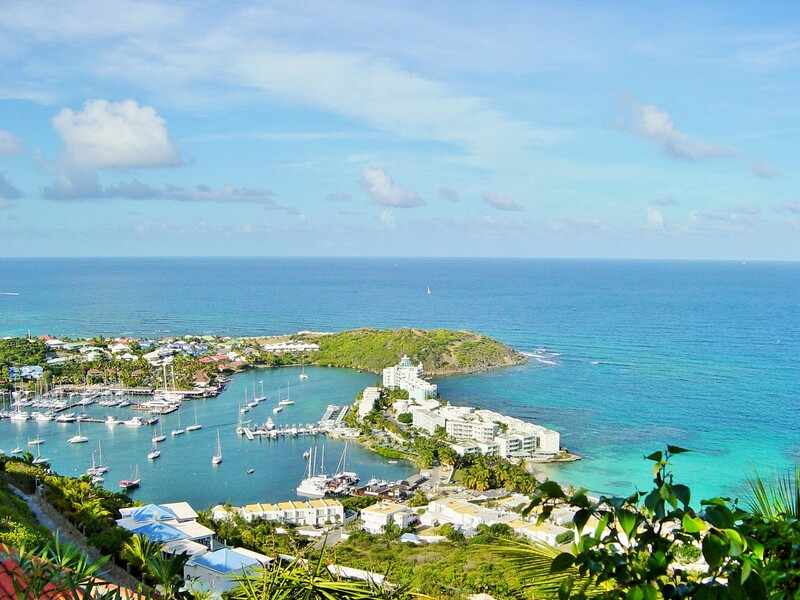 Bring a suitcase and toothbrush, everything else is already there.